Union membership is vital to Ohio Council 8’s ability to negotiate fair contracts with job security, good wages and benefits. And signing a membership card also enables the union to offer members-only benefits that can enhance the quality of life for you and your loved ones. That’s why we have developed a partnership with Eastern Gateway Community College enabling our members and their families to earn an associate degree at no cost and on their own schedule. Briefly, Eastern Gateway Community College is fully accredited by the state of Ohio and the credits are transferable to four-year institutions. The program is open to Ohio Council 8 members – as well as a retiree, spouse, child, step-child, grandchild, step-grandchild, or parent. Click here to visit the AFSCME Council 8 Education web page for more information. The deadline to submit applications is May 1, 2019. AFSCME Ohio Council 8 understands the importance of your children’s education. But we also understand how difficult it can be to achieve. Ohio Council 8 First Vice President Harold Mitchell, chairman of the scholarship committee, said, “Higher education is vital if we are to rebuild Ohio’s economy. But students entering college today need significant financial assistance to pursue their higher education goals. We strongly encourage every eligible student to apply for these scholarships.”The AFSCME Ohio Council 8 Scholarship Program, created in 1982, provides one son and one daughter of an Ohio Council 8 member with a $2,500 yearly college scholarship. To be eligible for the four-year grant, an applicant must be a high school senior graduating in the year in which they apply, and must be accepted at a four-year accredited college or university as a full-time student. In order to apply, the student’s parents must complete the verification of union membership and must have been a member in good standing for at least one year prior to the application deadline of May 1, 2019. Students must fill out the official scholarship application form, provide the requested high school academic records, and compose two, 500-word essays, one describing “What AFSCME Means To My Family,” and one explaining their reasons for pursuing a college degree. In addition, it is suggested that applicants place their name on each page of their essays, and to ensure verified delivery to Ohio Council 8, mail the application with a return receipt request. The Council 8 Scholarship Committee is chaired by Vice President Harold Mitchell and includes Cleveland Regional Vice President Julie Albers, Council 8 Trustee Kimberly Gaines, and Council 8 Recording Secretary Patricia Taylor. The deadline to submit applications is May 1, 2019. For more information and to download the application, click here. To apply for the AFSCME International Family Scholarship, click here. The AFSCME Ohio Council 8 Executive Board is pleased to announce that Kelly Miller and Gavin Wooley have been awarded the 2016 Grace Davis and William Fogle scholarships. Kelly is the daughter of AFSCME Local 2319 City of South Euclid member Brian M. Miller. She is a graduate of Twinsburg High School where she was a motivated student who participated in many school activites and achieved an outstanding academic record. Kelly is attending Hiram College majoring in creative writing and psychology. Gavin Wooley is the son of AFSCME Local 277 City of Elyria union President Robert Wooley Jr.. Gavin is a graduate of Midview High School in Grafton Ohio, who distinguished himself as an outstanding student with a strong record of academic achievement. 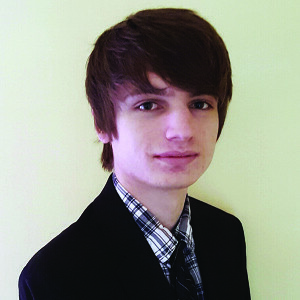 Gavin is attending Miami University where he is majoring in computer science. The Ohio Council 8 Executive Board is pleased to announce that Montgomery Irvine has been awarded the Patricia Moss Scholarship and Mohamed Sabeh-Ayoun has been awarded the Jesse Johnson Scholarship as part of the Ohio Council 8 Family Scholarship program. Montgomery is the daughter of Jerry Irvine who is Chapter Chairman of AFSCME Local 101-19, which represents Greene County Highway Engineer’s Office employees. A graduate of Xenia High School, Montgomery was as a motivated student who achieved an outstanding academic record. In addition she participated in many school and community activities including serving as president of the student council at the high school. She is attending Defiance College and plans to become a nurse specializing in Pediatric Oncology. The 2015 men’s scholarship winner, Mohamed Sabeh-Ayoun, is the son of 20-year AFSCME Local 232 member Sawsan Srouji. An active member of the union representing Cincinnati Public School employees, he has been a member since he began with the board of education in 1995. 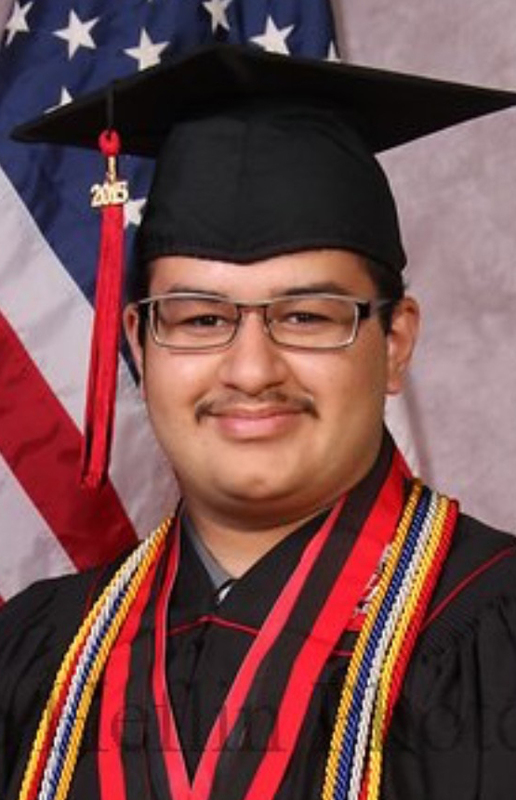 Mohamed graduated from Oak Hills High School, where he was an active student with a strong academic record who was respected by his classmates and teachers. As a high school student he took the lead and volunteered to help the union build its first web page. On March 21,2012, he completed the task and afscmelocal232.org was on line. Since then he has been the local union’s web master. He will be attending The Ohio State University in the fall where he plans on becoming a doctor. The Ohio Council 8 Executive Board is pleased to announce that Allison Mitchell has been awarded the 2014 Edithia Spears Scholarship, and Jacob Schimming has been awarded the Wallace Southers Scholarship, as part of the Council 8 Family Scholarship program. Allison is the daughter of Greta Mitchell, who works for the Lucas County Board of Developmental Disabilities and is a member of AFSCME Local 3794. 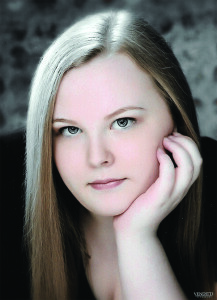 A graduate of E. L. Bwowher High School, Allison is a motivated student who achieved an outstanding academic record in addition to being a school leader. 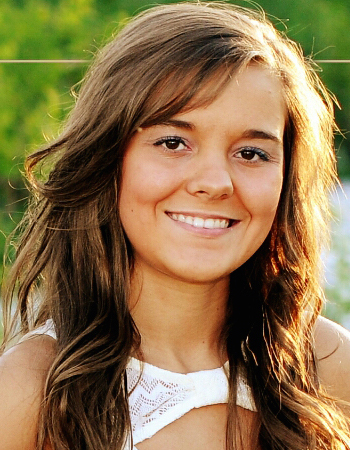 She is attending Ohio Northern University, where she plans to major in Civil Engineering. The 2014 Wallace Southers Scholarship winner, Jacob Schimming, is the son of AFSCME Local 544 member Cheryl Schimming, a 19-year Lucas County employee in the purchasing department. Jacob graduated from Genoa Area High School, where he was an active athlete and an excellent student with a strong academic record. He is attending Bowling Green State University, where he plans to major in Accounting.